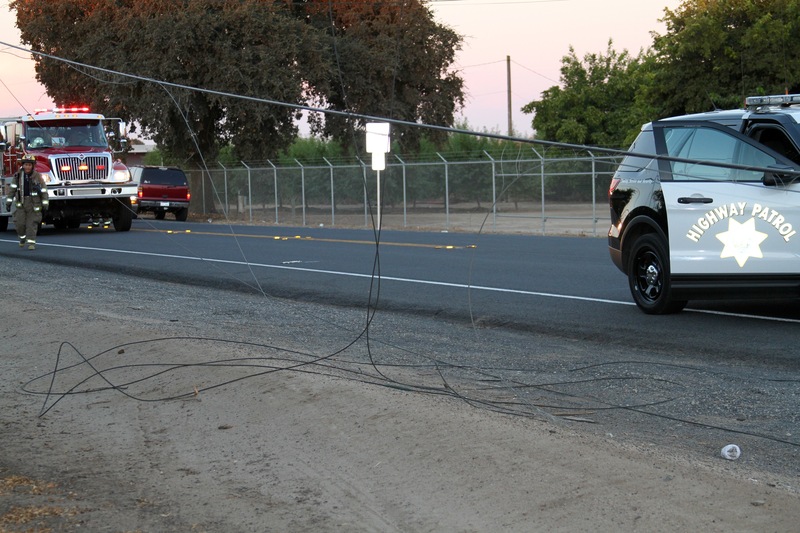 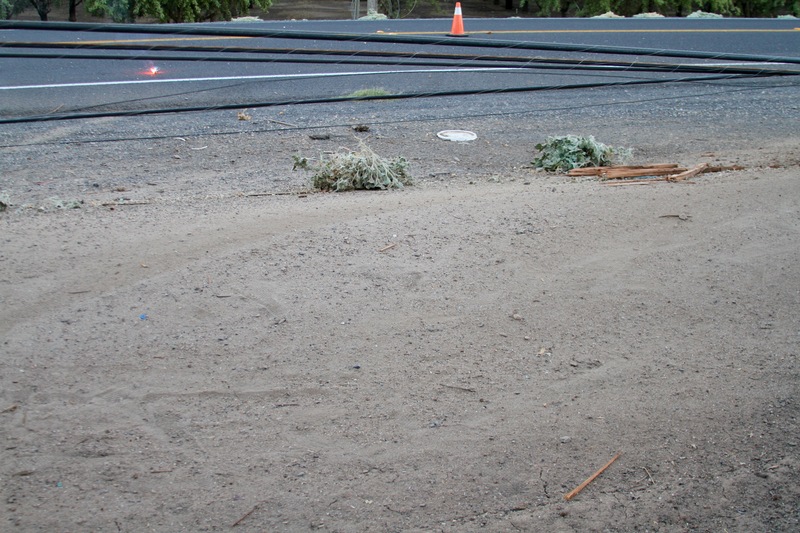 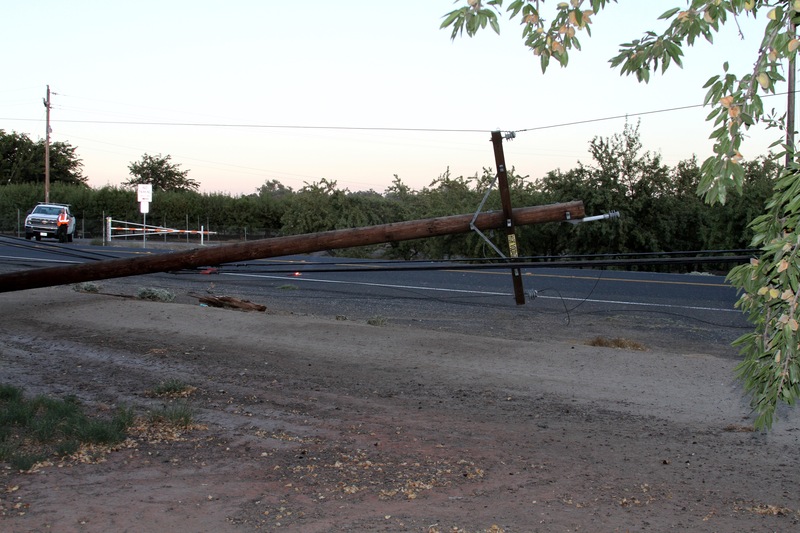 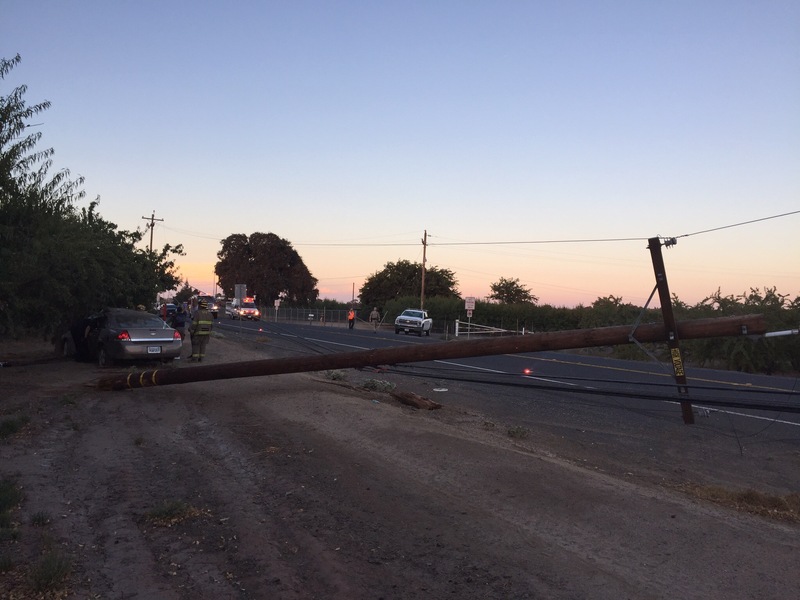 SOLO VEHICLE VS. POWER POLE – E. RIVER ROAD NEAR BRENNAN ROAD. 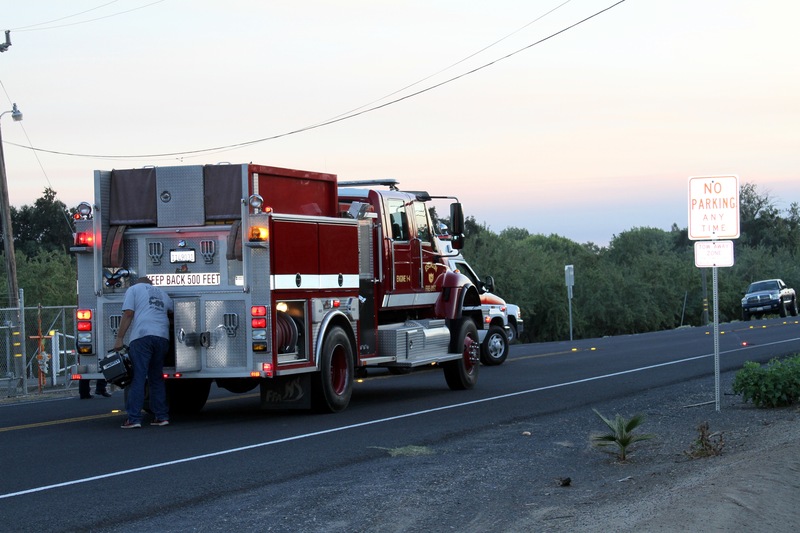 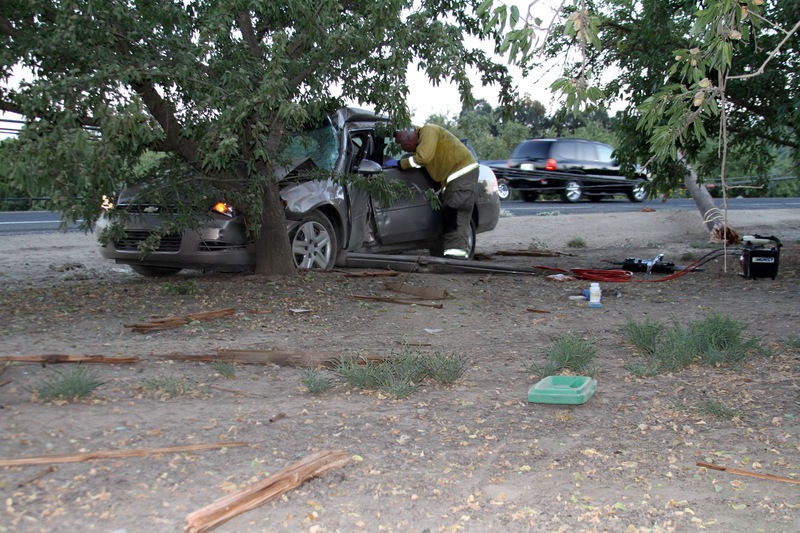 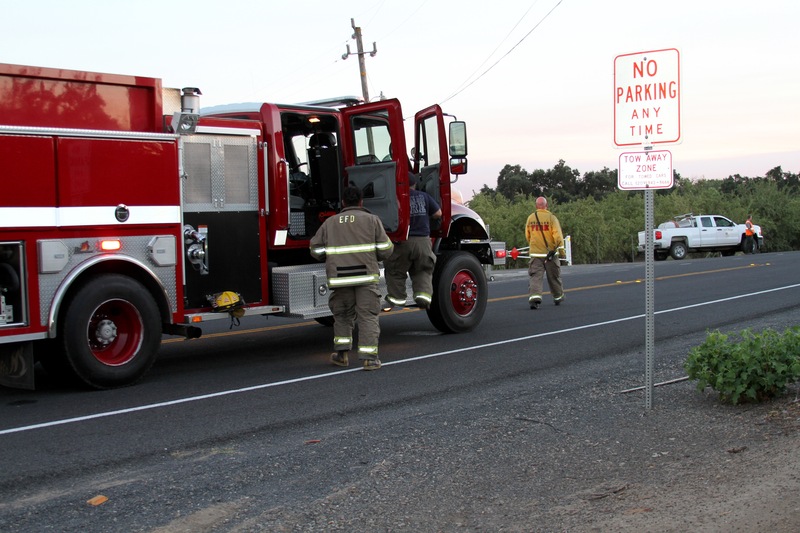 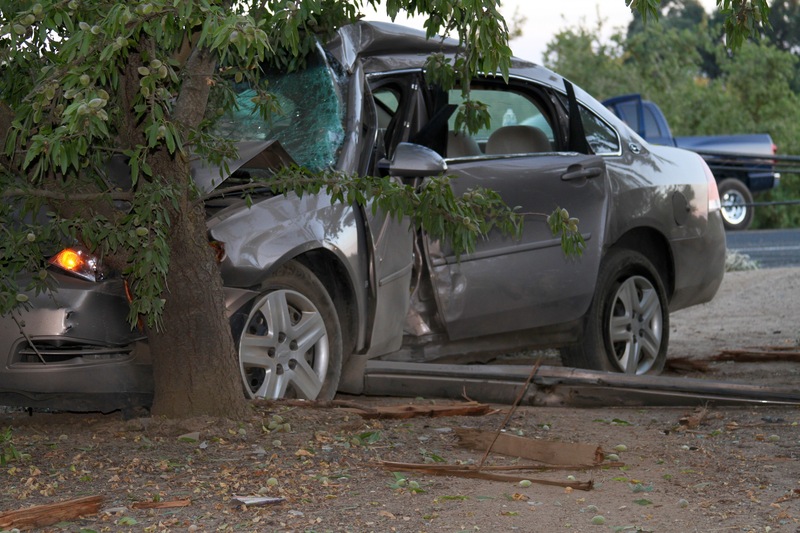 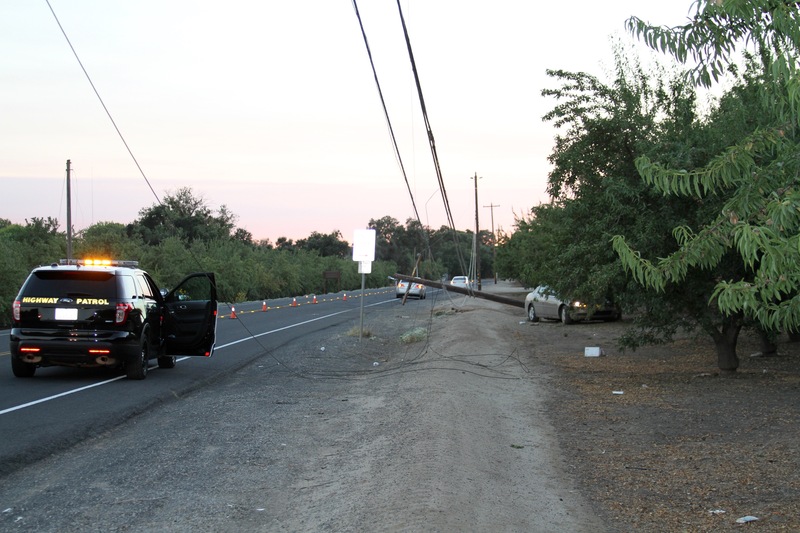 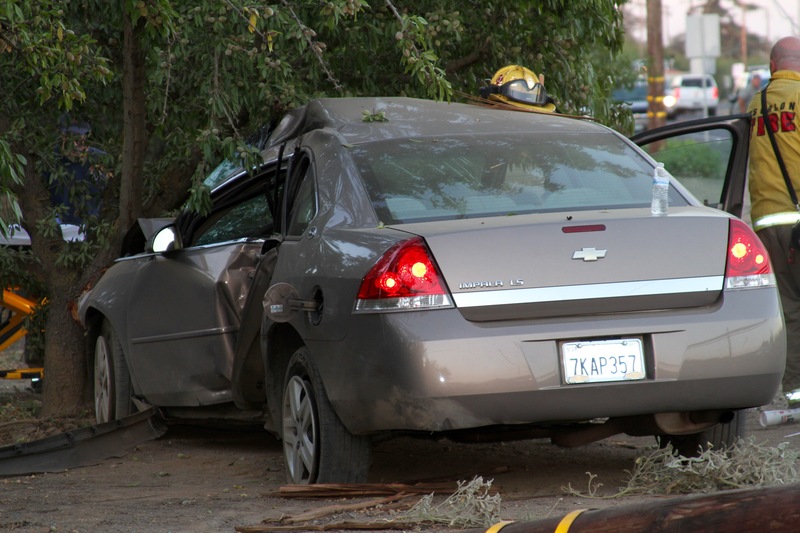 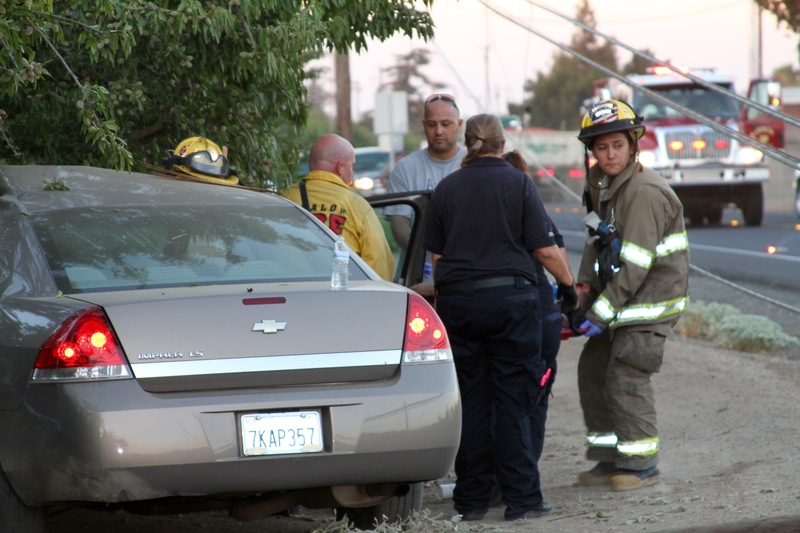 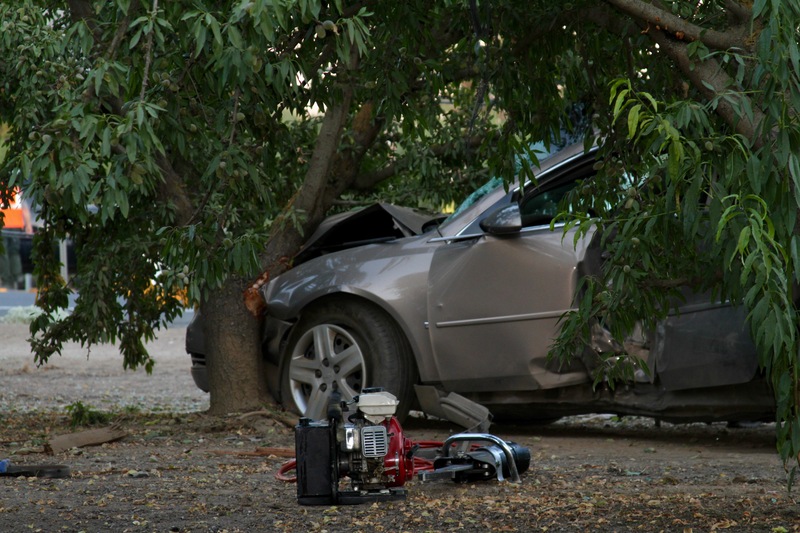 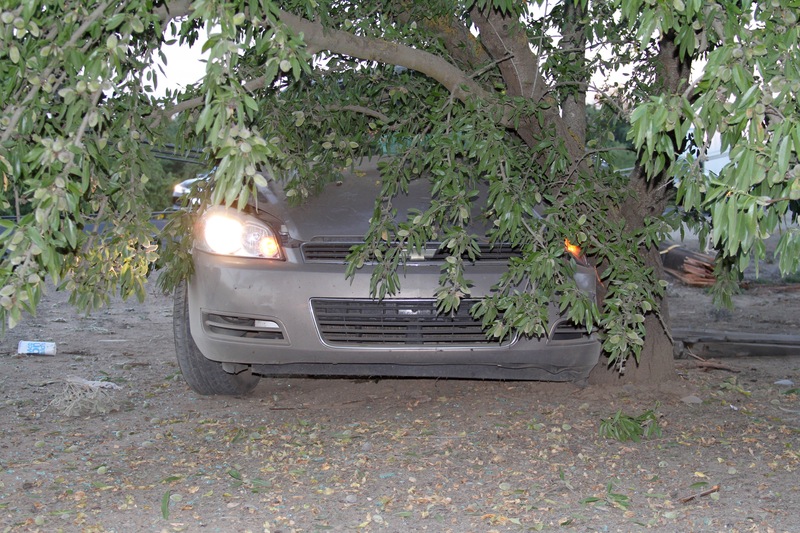 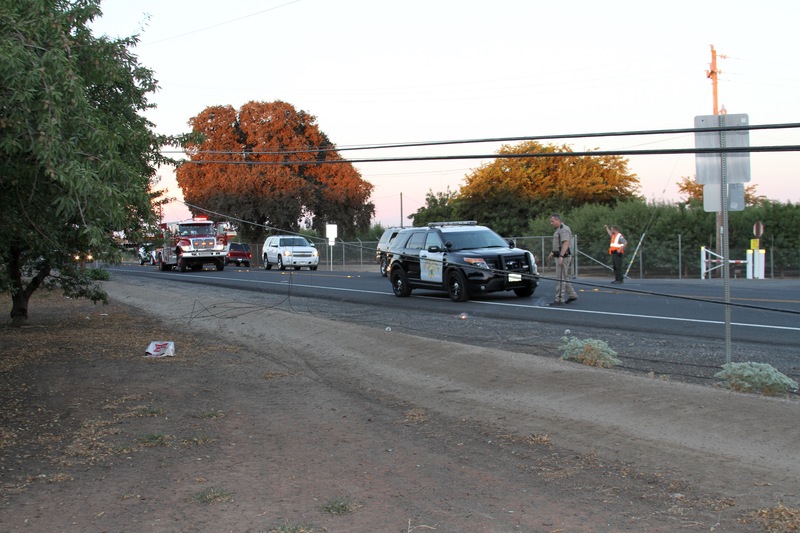 ESCALON, CALIFORNIA • July 28, 2016 at approximately 7:39 p.m. • There was a solo vehicle accident with two occupants on River Road near Brennan Road • Family members on scene • The vehicle was traveling east bound on E. River Road when the driver lost control for some unknown reason. 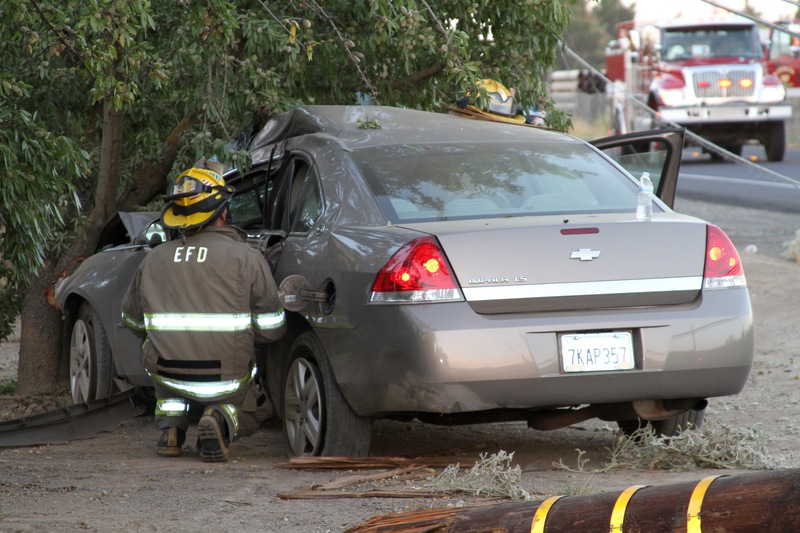 The driver over corrected striking the power pole and then hitting an almond tree before coming to rest • The driver and passenger suffered minor to major injuries and was transported to a nearby hospital by ambulance • There was major damage to the vehicle • Escalon Fire personnel, Community Ambulance services, California Highway Patrol, and PG&E responded • Some power outs and traffic delays in the area • Accident is still under investigation • Note – The photos depict the passenger of the vehicle. 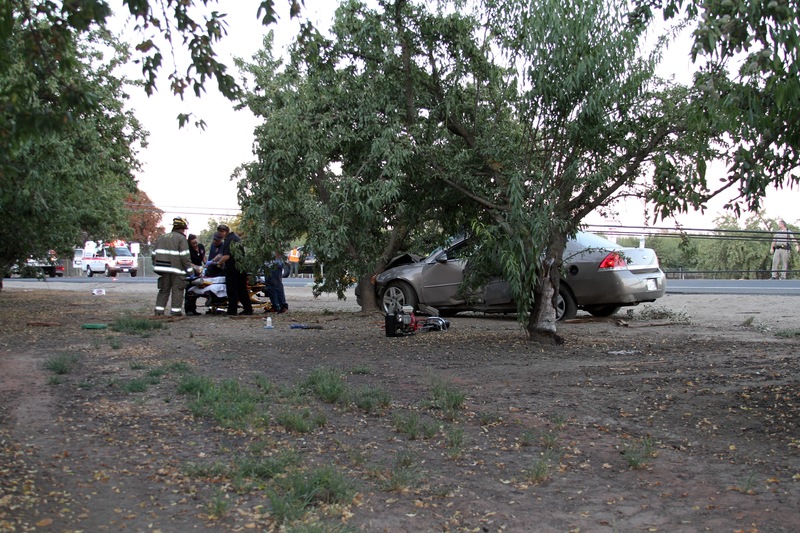 Previous Previous post: SUSPECT ARRESTED IN SOUTHEAST MODESTO SHOOTING. 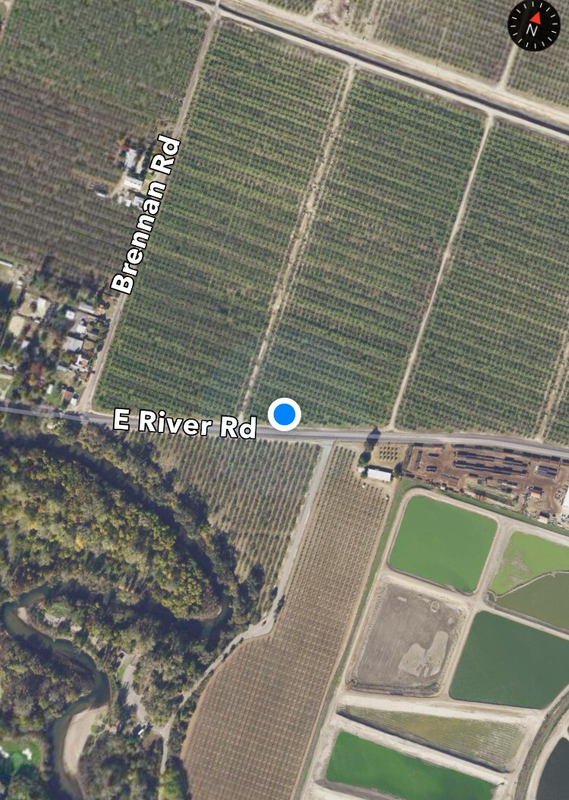 Next Next post: SUSPECT WITH KNIFE SHOT BY OFF-DUTY OFFICER AT MODESTO COSTCO. 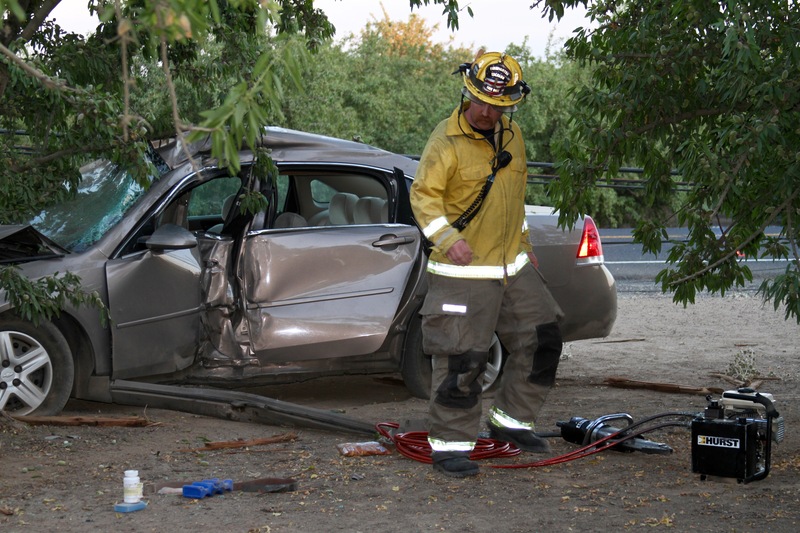 My cousin who is shown in the pictures was the PASSENGER, not the driver, there was 2 people in that car. 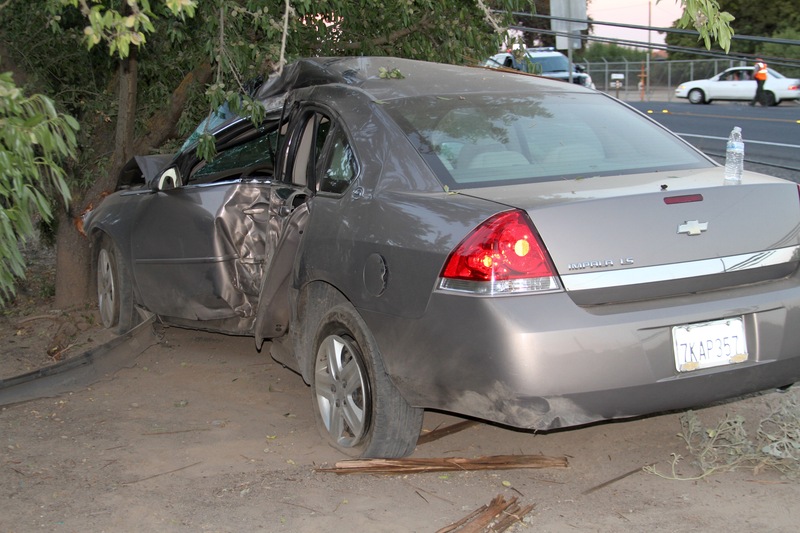 The driver who is his friend is suffering from a lot of damage, I won’t go into details about his injuries out of respect for his family but there was nothing minor about it and he is in pretty critical condition. 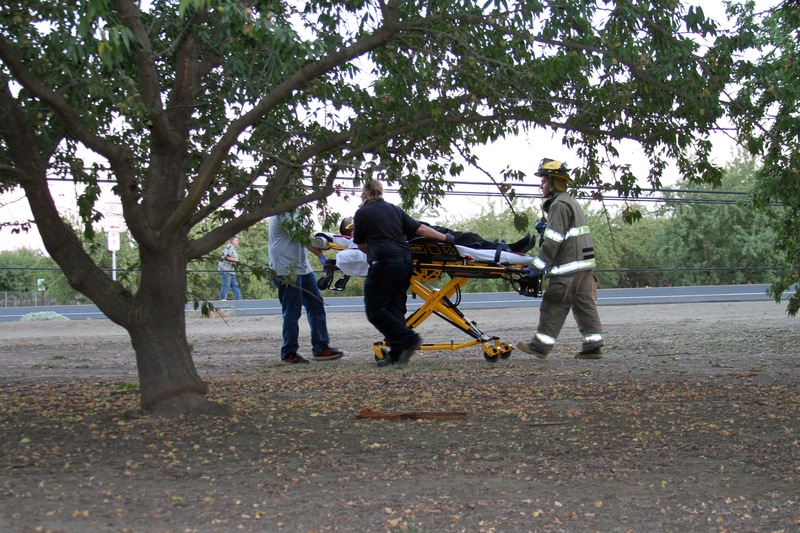 But his vitals are stable and were hopeful and will know more later after more tests are done but as of now he is non responsive. 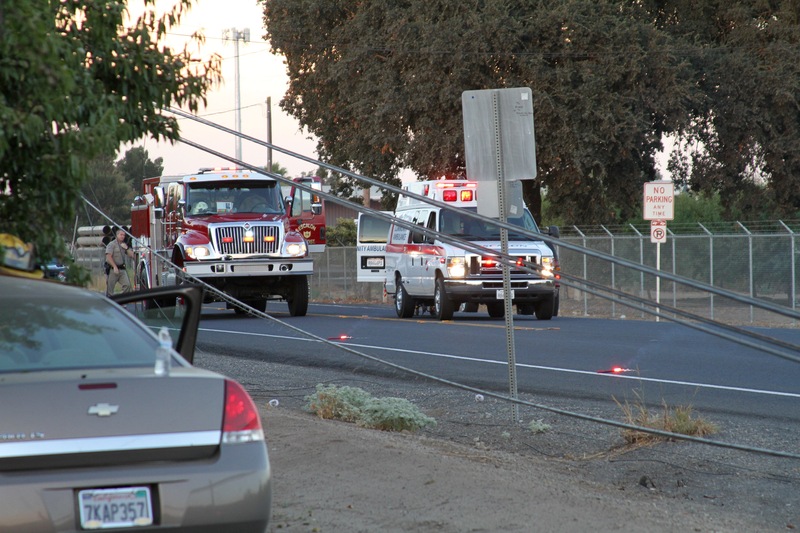 Both the driver and passenger had been up since 5AM and commuted from Oakdale to Dublin and worked a 10 hour day at Big O’s with only an hour break and then had to commute back to Oakdale to be ready for work the next day. 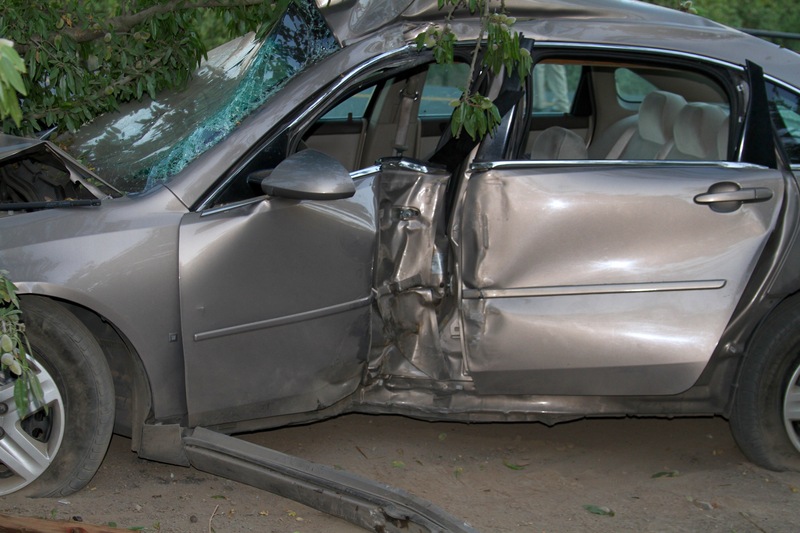 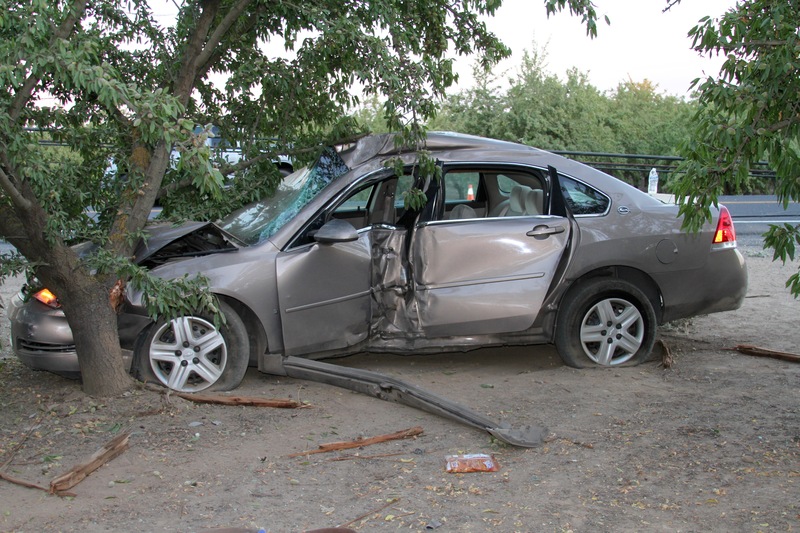 My cousin is probably only alive because he was starting to go to sleep and didnt have his seat belt on which made it possible for him to get down into a ball when he woke up to the car starting to spin. 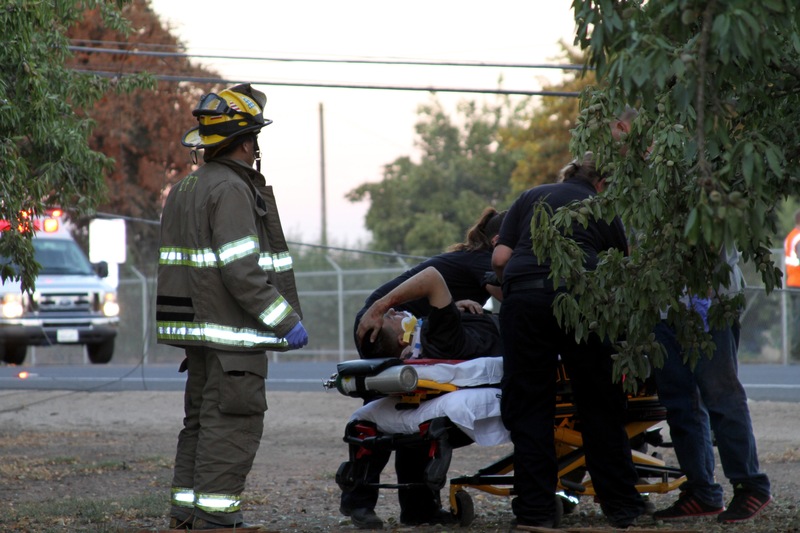 Please pray for everyone involved. 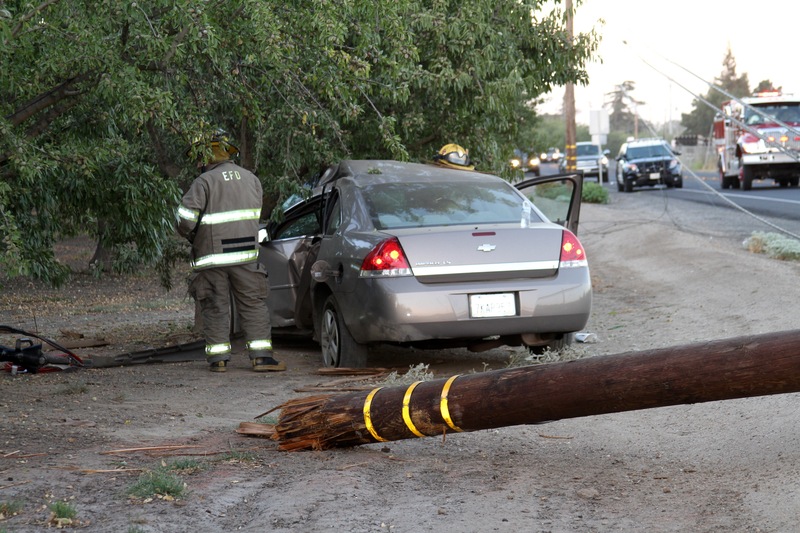 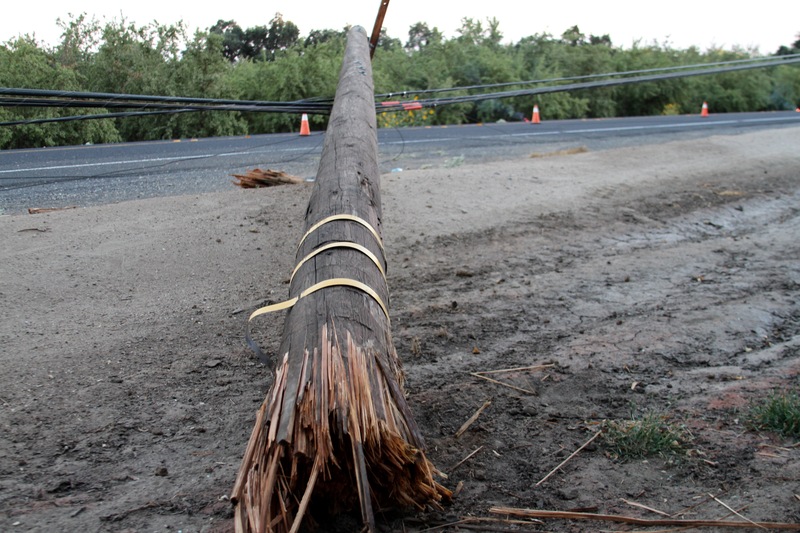 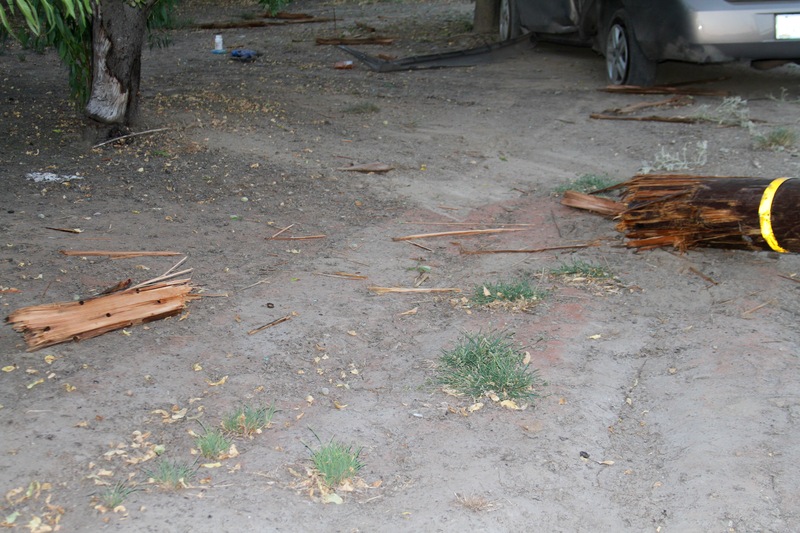 WeEscalon SOLO VEHICLE VS. POWER POLE – E. RIVER ROAD NEAR BRENNAN ROAD.